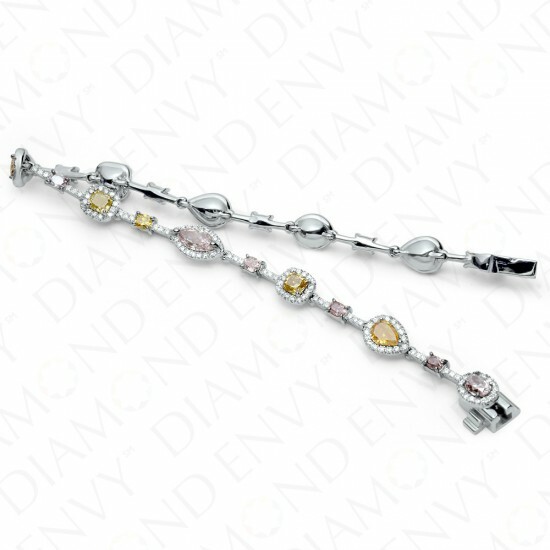 Different colors and shapes surrounded by pave-set white diamonds commingle in this fun and unique bracelet. Colors and shapes are both earthy and feminine, including a marquise shaped Fancy Purplish Pink diamond, a pear shaped Fancy Greenish Yellow diamond, and a pear shaped Fancy Deep Orangy Yellow diamond. Each halo-framed colored diamond is accented on either side with a trio of F-G VS2-SI2 round diamonds, 180 pieces total, 1.60 ct. tw., and a single oval-cut colored diamond in various colors. Multicolor diamonds total 20 pieces, 4.23 ct. tw. 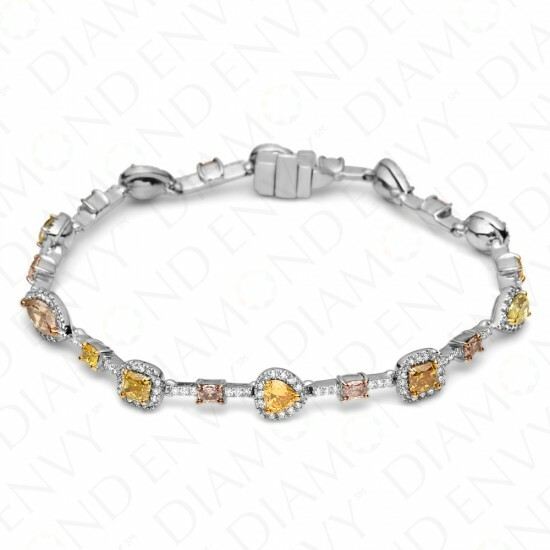 The bracelet closes with a secure double safety lock. Gold weight: 14.50 grams. House-graded.